 This examination is being given to fill one full-time vacancy in the Clinical Laboratory Department at San Joaquin General Hospital and to establish an eligible list to fill future vacancies. Resumes will not be accepted in lieu of an application. A completed application must be postmarked or received online by the final filing deadline. Selects, trains, assigns, schedules, supervises, and evaluates work performance of assigned staff. Trains staff in procedures and guidelines for phlebotomy and specimen processing including reference testing; creates, modifies and maintains send-out (reference) procedures when needed to include supervising processes for Mental Health and Integrated Laboratory services collection and handling. Formulates and coordinates instructional aids and information for training purposes; trains staff in all aspects of the Laboratory Information Systems relative to their scope of work; develops work projects by shift and directs staff for on the job training. Documents, reports and troubleshoots problems to programmer support personnel including testing and evaluating new programs and releases modifications when necessary; makes recommendations on Laboratory computer issues relative to the interface with HCS information systems; maintains incomplete reports, logs computer error message and edits file maintenance, and merges patient file records for medical records. Develops, creates and formulates qualitative policies and procedures to meet established standards and regulations under supervision of the Laboratory Manager; develops new strategies for processing laboratory specimens, including creating forms and documents, relative to testing and printing reports; formulates work sheets and creates collection guidelines for Public Health specimens; documents and maintains specimen processing records and reports all reference tests into the laboratory database. Assists in development of policies and procedures for the Laboratory Information System with respect to security maintenance and procedures for periodic review testing and structure. Participates on committees as assigned. Education: Associate’s degree from an accredited college or university in biological sciences or related field. Experience: Two years performing duties equivalent to a Laboratory Assistant II in San Joaquin County. Experience: Four years experience performing duties equivalent to a Laboratory Assistant II in San Joaquin County. Certification: Possession of a State of California Phlebotomy Certification as a Certified Phlebotomy Technician I. NOTE: Any phlebotomist who has on-the-job experience as of April 19, 2003 has until April 9, 2006 to meet the California requirements of forty (40) hours lecture/practical draws and exam for California certificate prior to hire. Current employees must meet the same criteria as of April 9, 2006 and provide evidence of Certification as a Certified Phlebotomy Technician I. Laboratory methods and procedures, fundamentals of physical and life sciences; the principles of supervision; materials used in a medical or science laboratory; established laboratory standards and regulations; basic laboratory testing procedures; methods and techniques used in venipuncture and skin puncture; the use and care of laboratory equipment; laboratory information systems and databases. Plan and organize the activities of laboratory assistants; supervise and participate in the performance of clinical laboratory tests and procedures with skill and accuracy; operate computer, associated software and peripheral equipment; assist in the development and implementation of policies and procedures; communicate effectively, orally and in writing; evaluate the work of others; operate and maintain complex laboratory equipment; read and interpret job related materials; establish and maintain effective working relationships with others; maintain safe working conditions by complying to established safety policies and procedures. Mobility-Frequent operating keyboard, standing for long periods, walking; occasional sitting for long periods, pushing/pulling, bending/squatting, driving, climbing stairs; Lifting-Frequent lifting 5 pounds or less; occasional lifting 5 to 30 pounds, lifting 30-70 pounds; Vision-Frequent overall vision, eye/hand coordination, reading/close-up work, field of vision/peripheral; occasional color perception, depth perception; Dexterity-Frequent reaching, grasping, repetitive motion, writing; occasional holding; Hearing/Talking-Constant hearing normal speech; frequent hearing on the telephone, talking in person, talking on the telephone; occasional hearing faint sounds; Emotional/Psychological-Constant decision-making, concentration; frequent public contact; occasional exposure to trauma, grief, death, exposure to hazardous materials; Special Requirements-May require working weekends/nights; working alone; Environmental Conditions-Frequent exposure to noise; occasional exposure to dirt, dust, smoke, fumes, poor ventilation, cold, heat (indoor), hazardous materials.